Study daily, 17 latest news updates and current affairs in English with The Tutors Academy. 1. Atal Bihari Vajpayee, the only non-Congress leader to have completed a full term as Prime Minister, breathed his last at the All-India Institute of Medical Sciences on Thursday evening. 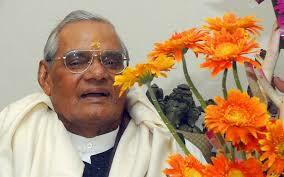 Mr. Vajpayee was PM thrice in 1996, 1998-1999 and 1999-2004. Born on December 25, 1924, in Gwalior, former Prime Minister was elected 10 times to the Lok Sabha from four different States, the first time in 1957 from Balrampur in Uttar Pradesh, and was twice a member of the Rajya Sabha. He was a member of the RSS from 1939, and after completing his M.A. in political science from Kanpur, began full time work for the RSS. As one of the founding members of the Jan Sangh in 1951, he became its president in 1968 upon the death of Deendayal Upadhyaya. As his parliamentary career flourished, Mr. Vajpayee made a name for himself as an orator with poetic flourishes. His poetry was collated in his book Meri Ekyaavan Kavitayein (My 51 Poems). After the Emergency was declared in 1975, Mr. Vajpayee and the Jan Sangh became constituents of the Janata Party, and he became External Affairs Minister after the rout of the Congress in 1977. Nuclear tests in May 1998, a peace-making bus ride to Lahore in February 1999, the Kargil war a couple of months later, a transformative visit to China in June 2003 and a peace deal with Pervez Musharraf in January 2004 stand out in Prime Minister Atal Bihari Vajpayee’s foreign and security policy calendar. 2. Mumbai (Byculla zoo) gives India its first baby penguin. 3. 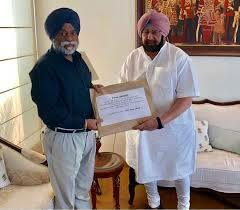 The Justice (retd) Ranjit Singh Commission, set up in April 2017 by the Congress government to investigate the various incidents of sacrilege of the Guru Granth Sahib and other religious texts, submitted its full report to Chief Minister Amarinder Singh on Thursday. It had submitted the first part of the report on June 30. The terms of reference of the Commission were to conduct an inquiry into the cases of sacrilege of Guru Granth Sahib, Bhagwad Gita and the Koran, inquire into the detailed facts and circumstance and chronology of events and to identify the role played by various persons. Learn daily, 17 latest news updates and news headlines from The Hindu with The Tutors Academy. 4. The Odisha government is setting up a world-class interpretation centre at Dangamal near Bhitarkanika National Park to showcase its efforts in protecting crocodiles and preserving its rich mangrove diversity. Kalibhanjdia Island spread over 8.5 square km, a place in Bhitarkanika, has attracted the attention of foreign scientists as its possesses 70% of the total mangrove species of the world. 5. Former Chhattisgarh Governor Balramji Dass Tandon is no more. 6. The Supreme Court on Thursday told Tamil Nadu and Kerala that “an effort has to be made to bring the water level [in the Mullaperiya dam] to 139 feet so that people downstream (of the dam) do not live in constant fear”. 7. First Budget of independent India on November 26, 1947, by Finance Minister R.K. Shanmukham Chetty. 8. The Nehru Memorial Museum and Library (NMML) is in the news because of loud opposition to the idea of setting up a museum for all Prime Ministers (PMs) in the Teen Murti Bhavan complex. The NMML and Teen Murti house the library and other related units, all established after Nehru’s death. In them, Nehru is just one of the thousands whose documents and photos are displayed. A substantial portion of the Teen Murti Estate has been diverted to other public uses. A private body set up a planetarium in the 1980s, albeit named after Nehru, which it transferred to NMML in 2005. The NMML is an autonomous body with the PM as its President. Teen Murti was selected in 1948 as the residence of the PM, not of Nehru. Even after it became a museum in his memory, the Union Cabinet, on August 9, 1968, decided that it should once again become the residence of the PM. The NMML agreed to shift the museum to Patiala House, but it did not happen. Study more latest news updates and current news headlines, to crack all competitive exams with us. 9. The Collection of Statistics (Amendment) Act of 2017 authorises the Centre to decide the manner in which statistical information collected can be used. The original Act of 2008 had restricted the data collected to be used only for statistical purposes. The Act passed in August 2017 empowers the Central government to make rules on the powers and duties of a nodal officer who may be designated to coordinate and supervise statistical activities in the Central government or a State government or Union Territory administration. It “empowers the Central Government to make rules relating to the manner of using any information by the statistics officer or any person or agency under Section 6 of the Act for statistical purpose”. The Act also extends the jurisdiction of the Collection of Statistics Act, 2008, to Jammu and Kashmir on statistics relevant to any matters under any of the entries specified in List I (Union List) and List III (Concurrent List) in the Seventh Schedule to the Constitution, as applicable to Jammu and Kashmir under the Constitution (Application to Jammu & Kashmir) Order, 1954. The Collection of Statistics Act, 2008, was enacted to facilitate the collection of statistics on economic, demographic, social, scientific and environmental aspects, among others. The Act had originally extended to the whole of India, except Jammu and Kashmir. The Jammu and Kashmir State Legislature enacted the Jammu and Kashmir Collection of Statistics Act, 2010, which extends to the whole of Jammu and Kashmir and is almost a replica of the Central legislation. This refers to the phenomenon wherein objects travelling across the earth’s surface witness a spin in a certain direction. 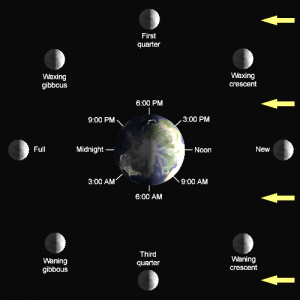 Flying objects in the earth’s northern hemisphere, for instance, witness a spin in the counterclockwise direction while objects in the southern hemisphere experience a spin in the clockwise direction due to this effect. This is believed to occur because the earth rotates around its axis from west to east, thus exerting inertial force on moving objects. The effect has been used to explain the direction of hurricanes. It is named after French scientist Gaspard-Gustave de Coriolis who first expressed it mathematically. Latest News Updates and Current Affairs in English. Study more to crack competitive exams. 11. Malian President Ibrahim Boubacar Keita won a landslide victory in a run-off against Opposition rival Soumaïla Cissé. Mr. Keita won 67% of the vote in an election marred by militant attacks and allegations of fraud. 12. Japanese automobile manufacturer Isuzu Motors is planning to make India one of its global manufacturing hubs for exports markets. 13. The National Payments Corporation of India (NPCI) has upgraded the unified payments interface (UPI) with enhanced security features and overdraft facilities. Unveiling the UPI 2.0 on Thursday, RBI Governor Urjit Patel said that the upgraded UPI was the result of the calibrated approach adopted by RBI in the initial years as a developer and in the later years as a catalyst and facilitator. Get daily 17 latest news updates in English from The Hindu, to crack all competitive exams with The Tutors Academy. 14. World tennis chiefs on Thursday approved a radical Davis Cup revamp that will overhaul the 118-year-old competition, condensing the annual showpiece into an 18-team, week-long event. The shake-up for the men’s team tournament received 71.43 percent support from about 120 delegates at the ITF’s annual meeting in Orlando, well ahead of the two-thirds majority needed for approval. The reform plan will create a November finals with 18 teams: 12 winners from 24-team home and away qualifying in February, the previous year’s four semifinalists and two wild-card nations. (17 Latest news updates- The Hindu). 15. Hikaru Nakamura of the United States completed a fine double on Wednesday when he lifted the blitz title, with 22.5 points, at the St. Louis tournament after winning the rapid event. Frenchman Maxime Vachier-Lagrave (21.5) was second while Viswanathan Anand finished last with 13.5 points. 16. The Environment Ministry has allowed scientists to test the suitability of land in Maharashtra’s Hingoli district to host the India wing of the ambitious Laser Interferometer Gravitational Wave Observatory (LIGO) project. The project involves constructing a network of L-shaped arms, each four kilometres long, which can detect even the faintest ripples from cosmic explosions millions of light years away. The LIGO project operates three gravitational-wave (GW) detectors. Two are at Hanford in the State of Washington, north-western USA, and one is at Livingston in Louisiana, south-eastern USA. Currently these observatories are being upgraded to their advanced configurations. The proposed LIGO-India project aims to move one Advanced LIGO detector from Hanford to India. The LIGO-India project is an international collaboration between the LIGO Laboratory and three lead institutions in the LIGO-India consortium: Institute of Plasma Research, Gandhinagar; IUCAA, Pune; and Raja Ramanna Centre for Advanced Technology, Indore. 17. Aretha Franklin, the undisputed “Queen of Soul” who stood as a cultural icon around the globe, has died at age 76 from pancreatic cancer. Former U.S. President George W. Bush awarded her the Presidential Medal of Freedom, the nation’s highest civilian honour, in 2005. Franklin’s best-known appearance with a U.S. President was in January 2009, when she sang My Country ‘tis of Thee at Barack Obama’s inauguration. Get daily 17 latest news updates and current affairs in English, To crack all competitive exams like- NDA, CDS, Navy, and AirForce, With The Tutors Academy.